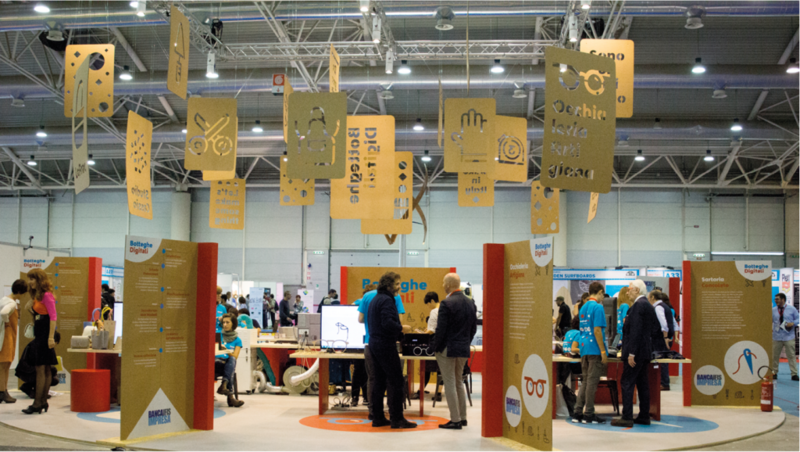 The Botteghe Digitali –Digital Workshops– project is an innovative format created by IFIS Business Bank, Stefano Micelli and Marketing Arena. Created with the aim of enhancing Italian craftsmanship, experimenting a new mixture between traditional Made In Italy craftsmanship and technological innovation. 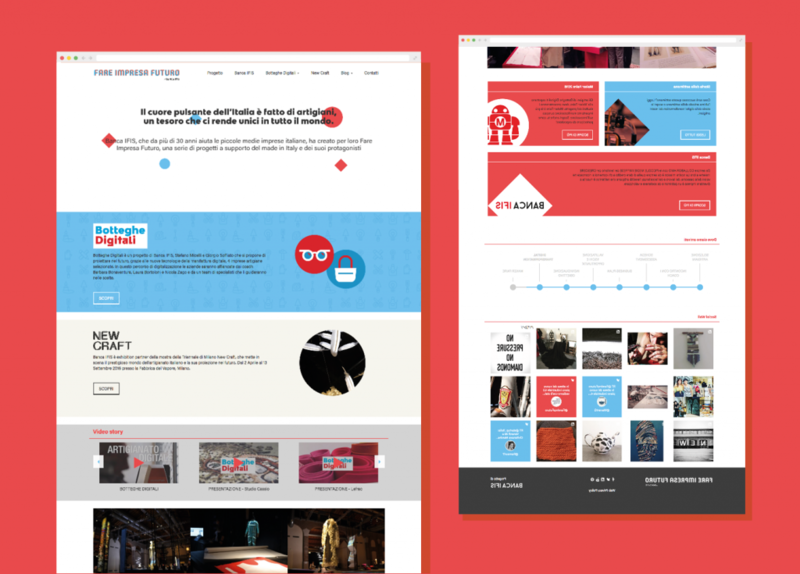 Asked to design the visual identity system, we have followed every step of the project, from the first call aimed at craftsmen, launched at the 2015 Maker Faire, to the construction of a digital storytelling platform to initially capture a diary of the project, and then a web series produced by Maria Cristina Redini. We interpreted the project by declining the theme dealing with the contrast and coexistence between different shapes and elements. 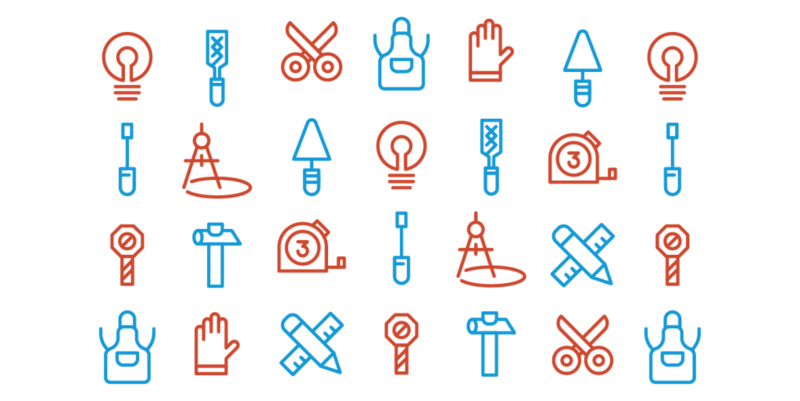 The colour choices conjugate the contrast between saturated red and blue; the typographical character chosen to create the logotype (BW Modelica by Alberto Romanos), is itself a system of heterogeneous and contrasting shapes; the system of pictograms created mixes traditional craftsman’s tools with digital manufacturing tools. 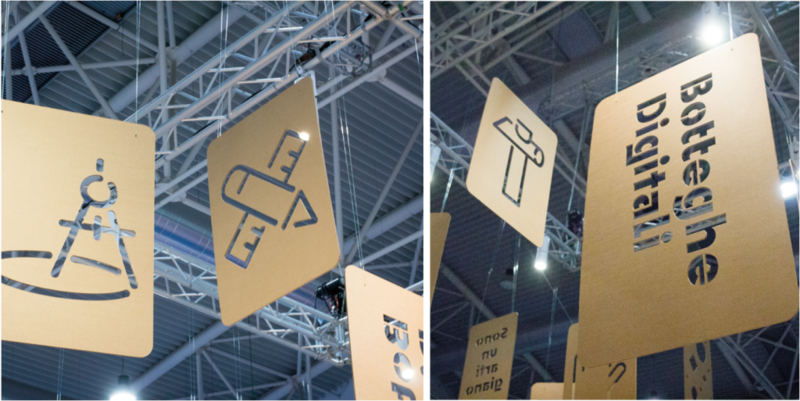 The exhibition space, designed by us and built by Athena Animation, has stratified information-signage communication levels with operative and interactive areas. The suspensions house the pictograms and construct a type of suspended signage, which echoes the signage on the ground defining the desk of each craftsman. A burst of vertical scenes defines the space and houses the storytelling time-line, while the horizontal volumes house the craftsmen’s and makers’ work surfaces. 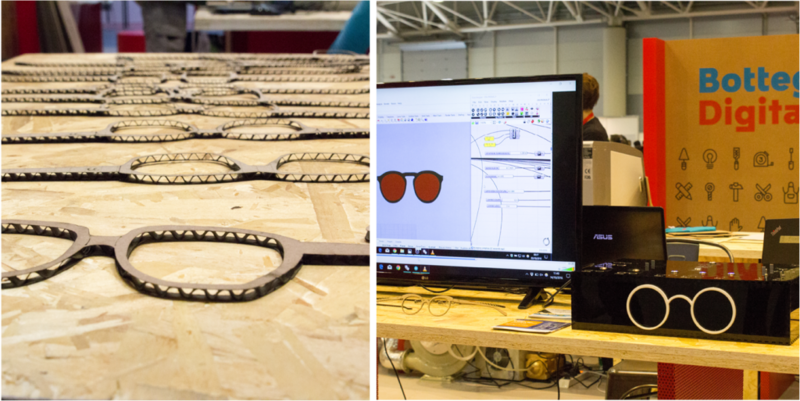 The materials used –cardboard, reboard, MDF– speak the language of a workshop and makerspace. 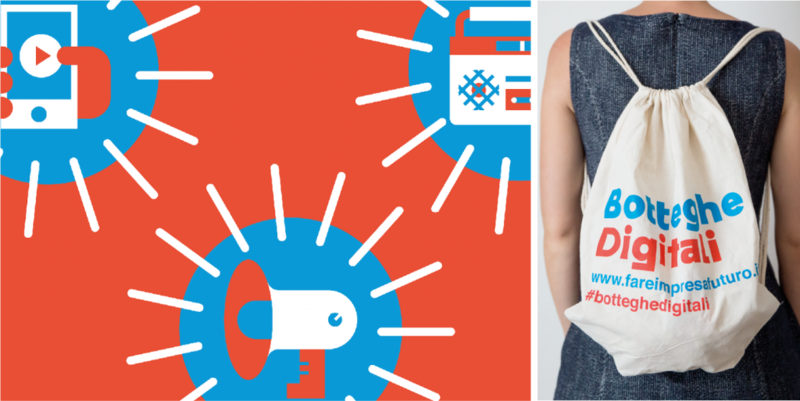 To highlight the value of the project, the American mother company “Maker Media” and the organisers of the 2016 Maker Faire, awarded Botteghe Digitali–Digital Workshops the BlueRibbons prize for originality and potential. For us at Identity Atlas, this has been an integrated project which put us to the test on various platforms and which allowed us to construct a transmedial experience.